A lighthouse is usually tall, or built on a high point of rock or on the edge of dangerous coastlines. Even in these days of GPS navigation, lighthouse lights are essential across the world. It's there to be seen. Or at least the light in it needs to be seen (and 'on' - always helps). This talk is about being a lighthouse for God. It's here because of a great talk that I heard which inspired me. This was put together by Dave J so the credit for much of this goes to him. And to his beard. John 12.46 - I have come into the world as a light, so that no one who believes in me should stay in darkness. Psalm 119.105 - Your word is a lamp for my feet and a light on my path. I can think of no other edifice constructed by man as altruistic (which means 'done to benefit humanity') as a lighthouse. They were built only to serve. 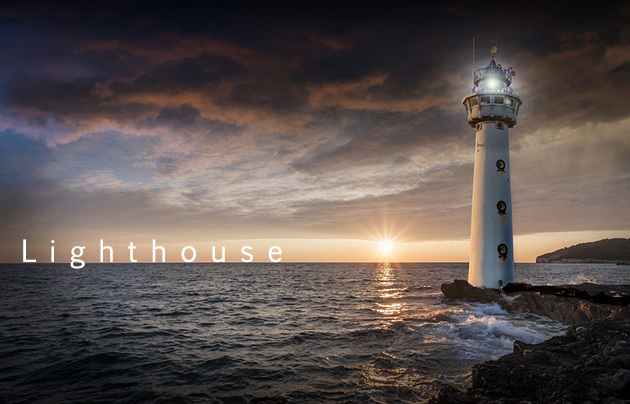 OK so this lighthouse picture is here for a reason. The reason is that we'll be using it for this talk. It is Berry Head Lighthouse in Brixham. Likely the shortest - but also one of the highest (huh?!) And deepest! 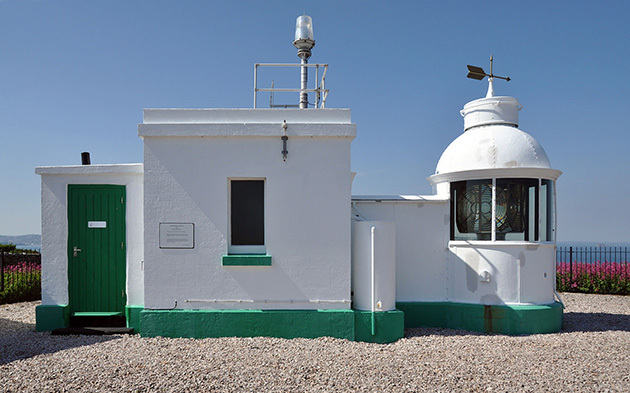 There is a lighthouse in Brixham, Devon. It is called Berry Head Lighthouse. It's supposed to be the smallest lighthouse in the country at 5m tall. Yet it is actually the tallest because of the rock that it is located on which is 58m above the average sea level. So here's the clever spiritual Bible bit... The lighthouse is small in itself (a bit like us). But yet it is the tallest because of the rock that it is on. Psalm 62.2 is one of many places in the Bible that we learn that God is our rock. So when we have faith in God and base our lives on him then we can grow to be a great lighthouse for God. But we're only ever as big as the rock we're on. It's the rock that gives the stability, the foundation and the height. So we can never get too arrogant about ourselves! Our job is to believe God, to have faith and to stand on Christ the solid rock (as Martin Smith sings). We also know from the Jesus in Mark 4 that even the smallest little seed can grow into the greatest tree if we have faith in God. Psalm 62.2 - Truly he is my rock and my salvation; he is my fortress, I shall never be shaken. And get this. The spiritual point goes even deeper... Like the lighthouse. The lighthouse was also the deepest lighthouse in the country because the light was turned by a weight falling down 45 metres. The strongest trees have the deepest roots. To get strong and stay strong in God, we should have deep roots. Maybe not 45 metres as we'd be stuck. But spiritually it should be the equivalent of 45m. How do we do this? By spending time with God and obeying him, hanging out with him, doing what he wants and living life for him. Honestly it's the only way to live. Jesus has given us a simple job on the earth. The job is to be God's candle here on earth. It doesn't mean we put a wick on a head and light ourselves with a match. But spiritually, we allow God to fill us with his Holy Spirit light. And then we have to let the light out. Imagine the world's most useless lighthouse. It would be one where the light didn't go on or was hidden. We should never think of ourselves as useless so let's reverse this... 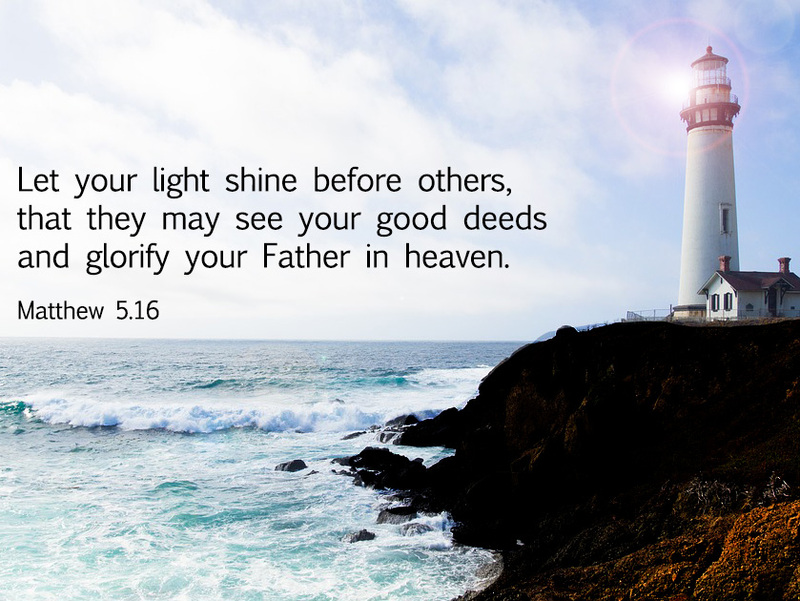 The power of God shines most bright through Christians who let his light shine through them and aren't ashamed to let the light shine so that it attracts people to Jesus. That's our job. God-filled people lighthouses. The light at Berry Head has a range of 19 nautical miles. But it will be seen by boats closer than that as well as those as far away as 19 nautical miles. Sometimes we're called to let the light of Christ shine out from us a long way. Some Christians go and serve God in countries away from their own countries. Others have TV ministries. But others of us do smaller but just as important light shining roles at home, in our community, our church, our family. And others do all kinds of lighthousing in places in between. One of the verses at the top of this talk says God's Word is a lamp for our path and a light for our feet. Think about a lamp for a path - it pushes out a wide or long light. But a light for our feet suggests the light is a bit more focused, narrow and doesn't look so far ahead. God's Word (the Bible) helps us have both kinds of lights and be both kinds of lights in different times and places. Sometimes we see the big picture and sometimes we just keep on walking with God and putting one foot in front of another. God loves it when we do. Do you know who owns Berry Head lighthouse? Yes, you can guess what we're going to do here, right? Right? Yes, as one of my old rhymes said; "God is the Father and Jesus is the Son. Together with the Holy Spirit, three in one." You're owned, operated by and set alight by the Trinity - God the Father, through the work of Jesus the Son and with the power of the Holy Spirit living in you. What a team!! In the early days of lighthouses, they had a keeper who had to keep the lamp burning so that the lighthouse could be seen by passing ships. As a Christian, we have the help of the Holy Spirit in keeping the God light burning on the inside of us. But we can help and do our bit too. We obey God, we pray (this can be just saying God help, God be with this person, God guide that person, stop the injustice), we read and get the Bible in us (knowing the Bible equals knowing God) and we say yes to God. Well, the world is headed pretty spectacularly into self destruction. In some ways, things are getting better. But the human condition (the way humanity is) really isn't getting better. People are lost, even when they don't think they are. They're lied to about what brings happiness. They don't know there's a God or have been told a lie about God. They often don't have real hope and live for the moment as have little else. They don't know what's going on and can't understand life. They follow the crowd like sheep, even if the other sheep around them also don't know what they're doing. People need direction and a light. Crazy thing is that God has chosen people like you and me to be lights to point to hope, to truth, to real love, to purpose, to a future. Like a light, we just reflect the light to show people the way. And that way is Jesus. Good job on making it through to the end of the talk! Have a jelly baby.